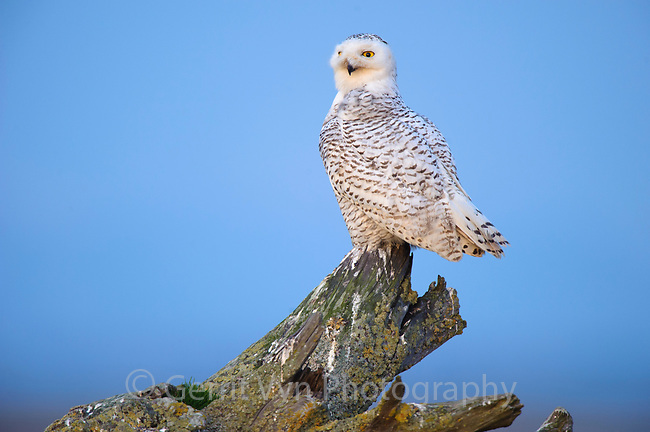 Snowy Owl (Bubo scandiacus) beginning its evening hunt of shorebirds and waterfowl on the shores of a coastal estuary. Boundary Bay, Canada. March.